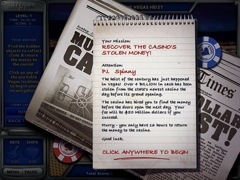 The heist of the century has just happened in Vegas! Over $4 Billion in cash has been stolen from the state's newest casino the day before its grand opening. The casino has hired you to find and return the money before the doors open the next day. Your fee will be $50 Million if you succeed. Hurry - you only have 16 hours to return the money back to the casino! 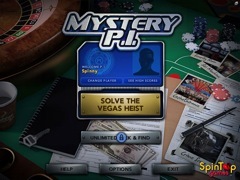 Investigate 25 intriguing Vegas locations to find over 2300 cleverly hidden objects. As your investigation skills improve your P.I. rank increases. Strive for a "Perfect Investigation" every time to earn bonus points. 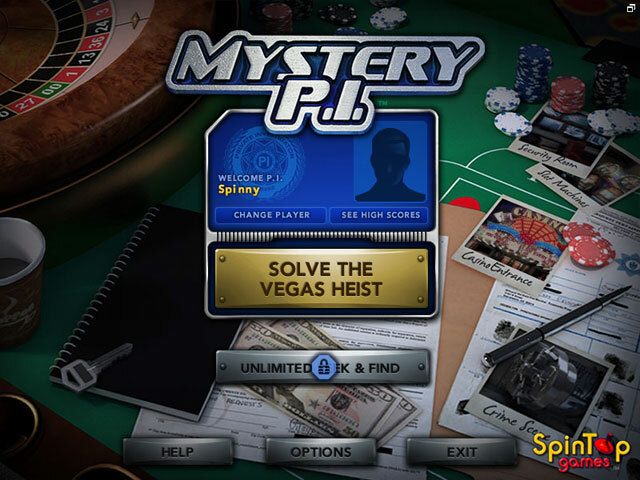 Two addictive ways to play: In Vegas Heist mode you must find clues and piece the clues together to discover the location of the money and return it before the casino's grand opening. Unlock Unlimited Seek & Find game mode to search for every hidden object in every scene with no time limits. Collect all the hidden Keys & Poker Chips to unlock Unlimited Seek and Find mode.